Another Filipino in the person of a 6-year old John Phillip Bughaw from Cavite, Philippines made Ellen DeGeneres and millions watching the Ellen DeGeneres show smiling and entertained. The little boy, also known as ‘Balang’, became famous for his “Bang-bang” dance moves. His video went viral and has now about 12 million views. Ellen saw it and decided to brought the boy to her show all the way from Philippines. Ellen and the live audience were not only entertained by John’s jiving but also by his answers to Ellen’s questions. “What do you wanna do when you get older? What kind of job?” asked Ellen. John replied, “I will teach Zumba so that everyone is healthy!”, as the audience praised his wittiness. To John’s surprise, Ellen gave the little boy bunch of chocolates. 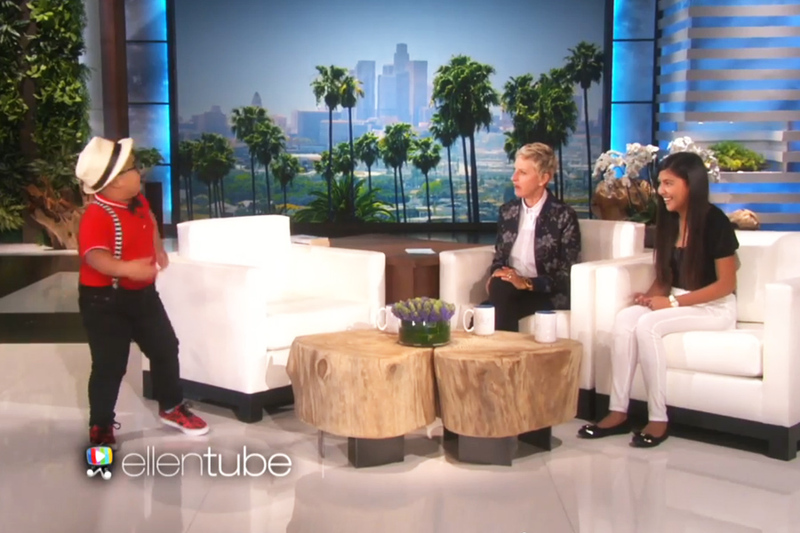 Here’s the video link of John guesting at Ellen’s show. In case you missed his viral video that started his journey to Ellen DeGeneres show, then here it is.